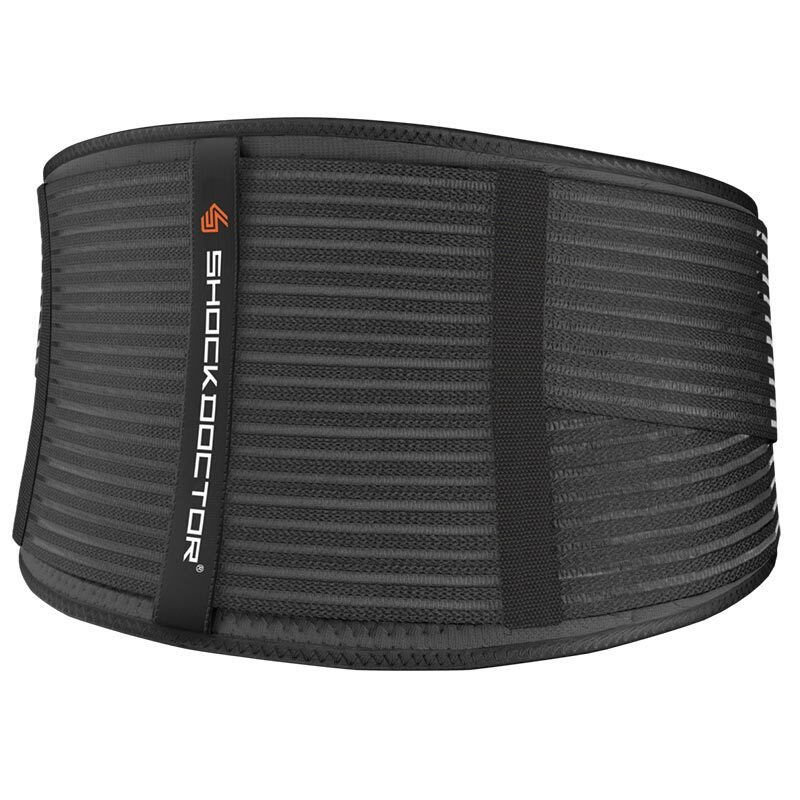 The perfect compression fit for all sizes, the 836 Shock Doctor ® Deluxe Back Support Brace stays firmly in place while you’re on the move. This terry lined lumbar padding binds comfortably to the mid-section to provide great alignment and stability for lower back injuries. Contains Latex Caution: THIS PRODUCT CONTAINS NATURAL RUBBER LATEX, WHICH MAY CAUSE ALLERGIC REACTIONS. IF ANY SKIN IRRITATION OCCURS, DISCONTINUE USE AND CONSULT A PHYSICIAN.